Melinda Lauw is an artist and cocreator of Whisperlodge. "Whether you're completely new to the world of ASMR or you've been 'in the know' for years, I unreservedly recommend this book—it truly has something for everyone." "We would all like to feel more relaxed, and even more, to have that relaxation on demand. 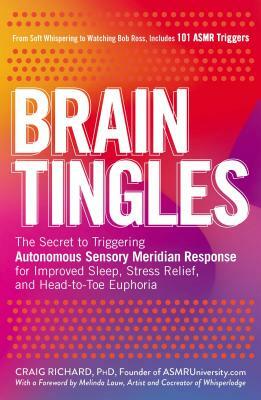 Offering a host of tools, tips, and easy-to-use exercises, Brain Tingles shows that not only is it possible to stimulate good feelings, but ASMR is a powerful technique available to anyone, at anytime."